Jonathan Gaydon has a busy civil practice. He accepts instruction in a variety of areas with specialist emphasis on clinical negligence, personal injury, professional negligence, inquests and costs work. Jonathan is an experienced advocate who appears at court daily in trials, applications, CCMCs, disposal and approval hearings. 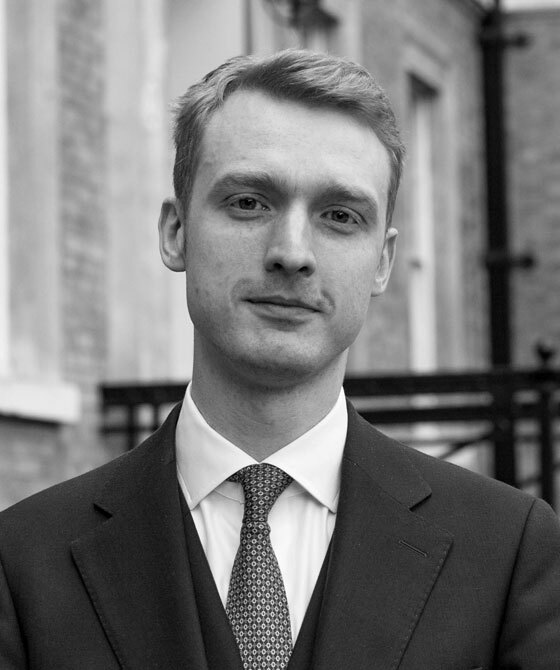 From 2015 to 2018, Jonathan has been instructed as a junior junior by the Foreign and Commonwealth Office in the multi-million pound Kenyan Emergency Group Litigation brought by over 40,000 former “Mau Mau” and related claimants in respect of their experiences in colonial Kenya during the 1950s. Jonathan has assisted in drafting pleadings, conducting research and has assisted at the High Court. Jonathan advises, drafts pleadings and acts for both claimants and defendants at all stages of litigation. Jonathan has appeared in numerous cases where fraud is alleged including LVI litigation. He has expertise with the law as to fraud, exaggeration and fundamental dishonesty. He is experienced in conducting conferences, cross-examination and making effective submissions before the Court in cases where dishonesty is alleged. Outside of his practice, Jonathan enjoys playing guitar and long-distance running. Jonathan regularly advises and acts in personal injury proceedings for both claimants and defendants. He offers expertise in relation to employer’s liability, occupier’s liability, RTAs, fatal accidents, motor insurance fraud and product liability claims. He has experience of high value PI litigation involving complex issues of liability, causation and damage. Representing the family at the inquest touching upon the tragic death of a young woman in her twenties who suffered a fatal stroke secondary to acute pyogenic meningitis. Jonathan provides representation to bereaved families and other interested parties at inquests. He is able to provide ongoing advice and advocacy in any civil claim arising from fatalities. Jonathan has experience of inquests involving complex medical issues and the questioning of experts. Re S: Representing the family in an inquest dealing with the tragic death of a young woman in her twenties who suffered a fatal stroke secondary to acute pyogenic meningitis which was not diagnosed upon her initial attendance at hospital. Re A: An inquest involving two deaths following a high-speed road traffic accident with a motorcyclist. Representing the family at the Article 2 inquest arising out of a hanging in a psychiatric unit. Jonathan is always conscious of the sensitivity and care required when representing families who are coping with the loss of a loved one and the importance of finding answers to the crucial questions which often remain following a death. In cases involving a fatality, Jonathan is experienced in providing representation at inquests on behalf of families or interested parties. During pupillage, assisted Richard Grimshaw in representing the family at the Article 2 inquest arising out of a hanging in a psychiatric unit.